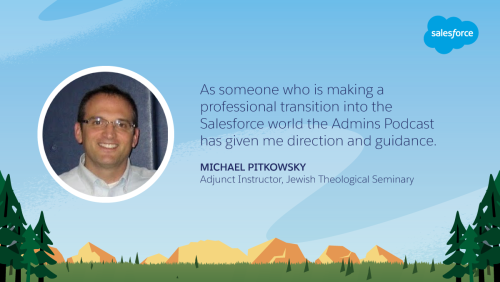 Learn about product, community, and careers to help you become a moar Awesome Salesforce Admin. 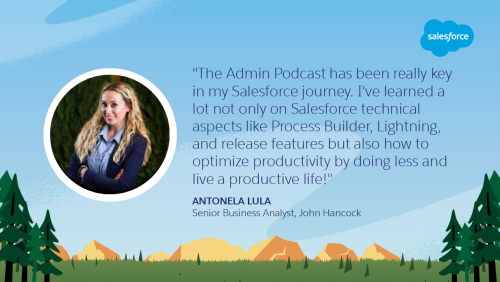 The Salesforce Admins podcast features real-life Salesforce Admins, product managers, and community leaders who transform businesses, careers, and community with clicks, not code. This 30-min weekly podcast empowers Salesforce Admins who are implementing Enterprise CRM solutions. There may be some (digital) confetti. Gillian Bruce is an Admin Evangelist. Since joining Salesforce in 2010, Gillian’s been a champion for driving system administrators’ success in several roles. She loves the Salesforce community, her hometown of San Francisco, and is part mermaid.